The fourth Dive In Festival kicked off in London yesterday with a series of events taking place in the Square Mile, which saw a diverse set of speakers address the industry. At the opening session yesterday morning at Willis Towers Watson’s headquarters, attendees listened to emotional accounts from Pam Warren, a survivor of the Paddington rail disaster who became a prominent campaigner for rail reform; Frank Gardner, security correspondent for the BBC who has used a wheelchair since being shot six times by terrorists while reporting in Saudi Arabia; and Gian Power, who at age 23 found himself leading an international investigation into the death of his father in India while juggling a graduate job at consultancy PwC. Warren, who began her career in the insurance industry and was leading a successful pensions company when her life was turned upside down by the crash, told the audience about the concept of a ‘ripple effect’ – that the actions of just one person are enough to create change within an organisation. It’s a message that ties into the 2018 festival’s message of turning ‘Awareness into Action’, which will be followed by a two-year campaign. At an event yesterday afternoon, QBE’s chief executive of European operations Richard Pryce highlighted the successes of the Dive In Festival in the past few years, which is led by Inclusion@Lloyd’s, a collaboration between the Corporation of Lloyd’s, IUA, LIIBA, and the Lloyd’s Market Association. 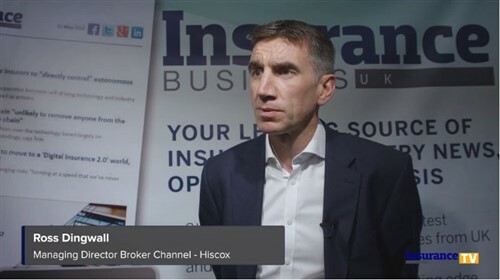 Pryce described the work that has been done on the initiative as something that “everyone in the insurance industry can be proud of,” but said that there is still “so much more” to do. 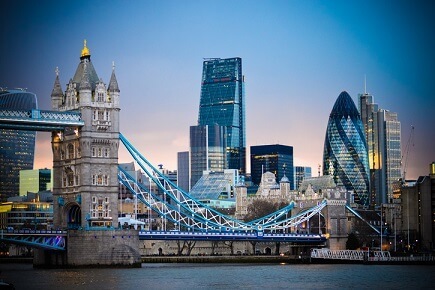 “We are still scratching the surface, and everyone here feels that they want to play a part in how we can move this agenda on even quicker than has been done in the last four years,” he said while opening a debate session at QBE’s London office. The CEO pointed to the work that QBE is doing on diversity and inclusion, which he said included a recent unconscious bias training session for the entire senior leadership team – including Pryce. “I think it’s a really good step to how we create that better environment here at QBE. I think as we all know, people are attracted to diverse and inclusive environments, it helps them bring their better selves to the organisation, they find life more enjoyable, and I think they are more productive and more relaxed. Just as importantly, companies are more successful too when they create that environment,” he said. Pryce said that QBE is committed to creating a “dynamic and diverse operating environment for everybody,” but acknowledged the danger of just paying lip service to the issue. “These are really easy words for somebody like me to say. Too often, they are said and not often enough are they practiced,” he said. The Dive In Festival in London, as well as others across the globe, continues this week until September, 27.